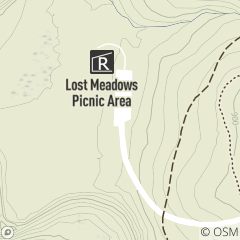 Lost Meadows Picnic Area is a reservable area that features a 20' x 40' canopy shelter and is located off Gorge Parkway in Bedford Reservation, between Dunham and Egbert roads in Walton Hills. This quiet and private area also includes water, entertainment area, swing set, fire pit, sand volleyball court and horseshoe pit. Game package available at an additional fee. Reservations June through September, daily. For reservations or more information, call 216-635-3304, Monday through Friday, 8:30 a.m. to 4:30 p.m.